Carolina private investigators work in either of these 2 Southern states and enjoy the beautiful climate and warm community spirit common to both locales. The Carolinas are popular destinations for both retirement and career advancement, so the population of both states is increasing year by year, creating an ever greater demand for quality investigative services. This article takes an in-depth look at the diverse professional investigation industry in North and South Carolina, as well as identifying the types of services that are available from qualified detectives. The detective industry in North Carolina is mostly based in several notable areas including, Charlotte, Greensboro and Raleigh. Professional investigators often work throughout the state, as well as in the neighboring markets in South Carolina and some select cities in other states, including Virginia Beach, Richmond and Knoxville. North Carolina detectives usually offer general intelligence gathering services and deal with all the typical assignments common in any major market, including missing persons cases, criminal investigations and insurance investigations. South Carolina has a smaller detective marketplace than its Northern relative and this industry is based primarily in Charleston, although smaller secondary markets exist in other areas, such as Myrtle Beach and Greenville. South Carolina detectives may work in the North, as well, besides sometimes venturing into neighboring cities in surrounding states, including Knoxville, Atlanta and Savannah. The investigators here often have prior armed forces backgrounds and some specialize in maritime investigations, due to their former extensive naval experience, or military record investigations. 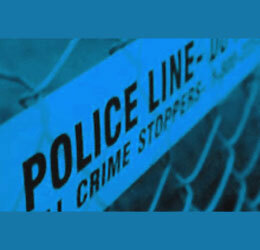 The Carolinas are certainly excellent locations for developing successful detective agencies. The demand for trained private eyes is constantly growing and there is no limit on just how successful a driven detective can become in either state. To learn more about hiring a professional detective in North or South Carolina, contact a service provider directly or call a local private investigators association for a recommendation to a fine private eye who specializes in the type of case you need completed.